We believe, getting proper education is our fundamental right and therefore the organization has been created to provide necessary and required information on study opportunities that a student look for before they make major decision on what and where to study. Admission.ac provides a very resourceful and smart search to find you the right school, college, university and even scholarship and job opportunities at home and abroad. 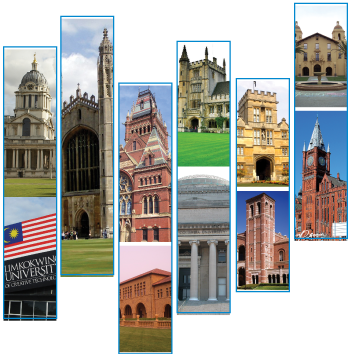 Choosing the right institute and study option is a very important, difficult and time consuming fact. For lack of information or adequate knowledge, sometimes we fail to take right decision. Also when we find the desired course, the next question comes to mind which institute is best and location becomes a very deciding factor. We work here to help you with information to take the right decision. On the other hand, admission.ac can be the right place for the college, institute and universities to generate information among the students and educators when they introduce new courses, programs and circulate scholarship and job opportunities. We work as a bridge between the learners and the institutions and are gradually improving the service. We have a team of counselors to guide you on your career path. We try our best to equip people with the knowledge, skills and networks that will last a lifetime. Already more than 2000 students have successfully transferred their credits to the well-known universities of UK, Canada, USA, Australia and many other countries for their higher study. We have given all the necessary support including initial counseling, admission, scholarship assistance, visa documentation etc. 19/1 Concord Regency Tower, West Panthopoth (3rd floor).